Footloose Original Broadway Cast Recording available again! Ghostlight Records is set to release an updated and re-mastered version of the Original Broadway Cast Recording of Footloose the Musical. The album will be available digitally on October 4, 2011 and in stores and physical retailers on October 25, 2011. To hear song previews and pre-order the CD, visit http://sh-k-boom.com/footloosethemusical.shtml. This fall’s re-release of Footloose features new album artwork by acclaimed Broadway graphic artist Frank “Fraver” Verlizzo, plus a brand-new track – “Still Rockin’” – a song cut from the show in its pre-Broadway run at the Kennedy Center and since reinstated to the score. The song was recorded this year by Footloose original cast member Hunter Foster under the supervision of original musical director, Doug Katsaros, and backed by members of the show’s original orchestra. The album now reflects changes made to the show by the original writers after their lengthy Broadway run and countless productions all over the world — from Kyoto, Japan to Sydney, Australia to Cardiff, Wales. Footloose features music by Tom Snow and lyrics by Dean Pitchford; the stage adaptation was co-written by Dean Pitchford and Walter Bobbie, based on Pitchford's screenplay for the original 1984 hit film and its 2011 re-make. Additional music was contributed by Eric Carmen, Sammy Hagar, Kenny Loggins and Jim Steinman. The album was originally produced by Tommy Krasker and Tom Snow, and recorded and mixed by Joel Moss. The new track “Still Rockin’” was produced, recorded and mixed by Joel Moss. Footloose premiered on Broadway in late 1998 and ran for over 700 performances, earning four Tony Award nominations including Best Original Score and Best Book of a Musical, while the Original Cast Recording received a Grammy Award nomination for Best Musical Show Album. Several US national tours followed Broadway, as well as several UK tours and West End engagements. Footloose has been staged all over the world, from Europe to Asia, Africa to Australia. 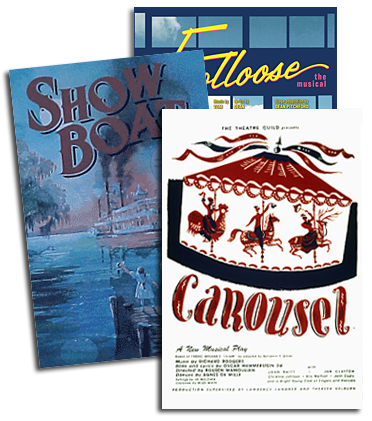 Licensed by R&H Theatricals, Footloose is consistently in the licensing house’s top 10 out of more than 100 offerings, flourishing alongside such perennials as The Sound of Music and Oklahoma! In Dramatics Magazine’s most recent survey, Footloose was in the top 5 roster of most-produced musicals in high schools across America. For more, visit R&H Theatricals at www.rnh.com or “Like” “rodgersandhammerstein” on Facebook. ABOUT SH-K-BOOM/GHOSTLIGHT RECORDSSh-K-Boom with its imprint Ghostlight Records has become the leading independent force in Original Broadway Cast Recordings – building a library of over 100 records the last 10 years, featuring the most successful Broadway musicals and solo albums by Broadway’s biggest stars. Founded by Kurt Deutsch and wife Sherie Rene Scott, the label was created by and for the Broadway community and has garnered acclaim not only for their high-quality recordings, but for their innovative marketing techniques and efforts to reach the next generation of Broadway music fans via iTunes, social networking, music videos and more. Ghostlight recently celebrated a major milestone with their release of The Book of Mormon, which became the first Broadway cast recording to break into Billboard’s Top 10 (topping out at #3) since the original 1969 release of Hair, as well as taking its place as the biggest-selling digital release of a cast recording of all time. 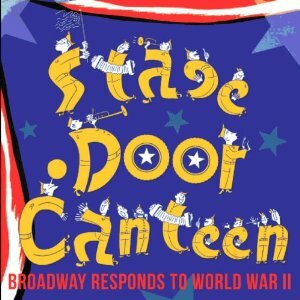 Also just released on the label are the OCRs of Catch Me If You Can, Sister Act and Women on the Verge of a Nervous Breakdown, as well as solo albums from some of Broadway’s biggest stars: Sutton Foster, Kelli O’Hara, Alice Ripley, Christine Ebersole, Melissa Errico and Ben Vereen. In recent Broadway seasons, Ghostlight has preserved the scores of some of Broadway's most well-known musicals, including the Grammy Award-winning In the Heights, plus Next to Normal, Hair, Bloody Bloody Andrew Jackson, Legally Blonde, Everyday Rapture, Passing Strange, Dirty Rotten Scoundrels, The 25th Annual Putnam County Spelling Bee and The Drowsy Chaperone. Coverage of their albums has ranged from Rolling Stone to USA TODAY to The New York Times, from Blender Magazine to Playbill to Billboard, and many more. The company is recognized for reinventing the musical theatre recording landscape, and creating a new type of ‘United Artists’ environment for Broadway producers and artists to participate in the funding and co-ownership of their albums. I am glad to hear there is a recording update. Does anyone know how I can get the MIDI files?